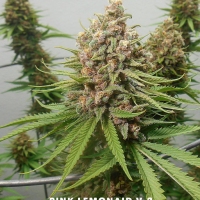 Prism – the marvelous result of the combination of two stunning strains: Pineapple Express and Huckleberry Soda. 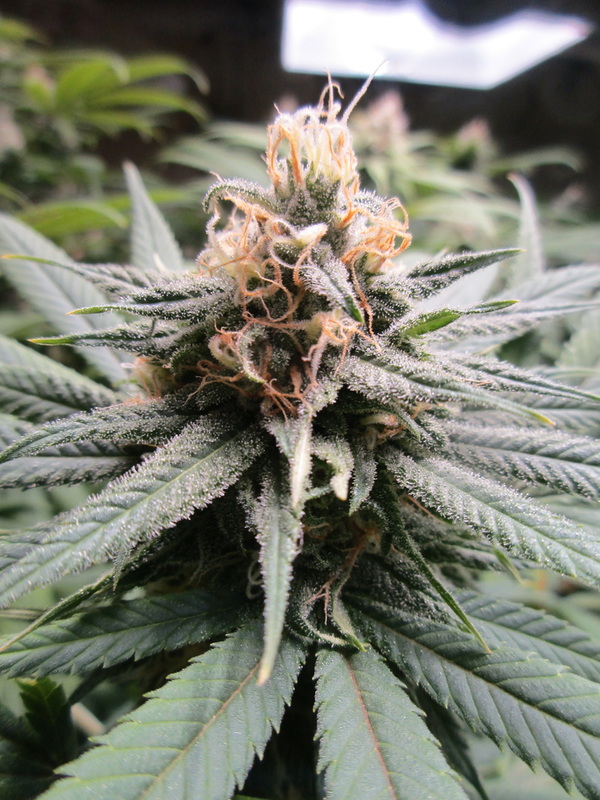 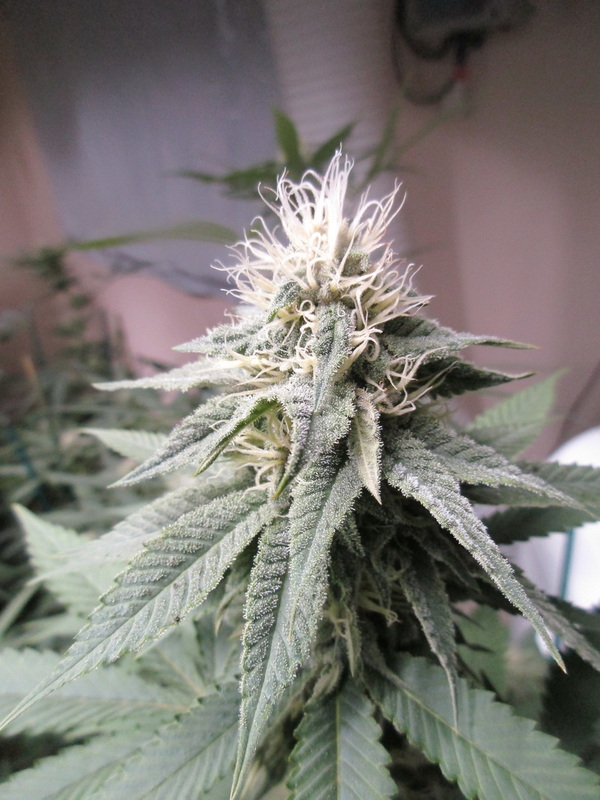 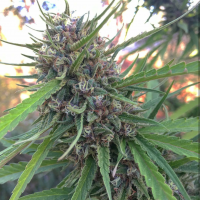 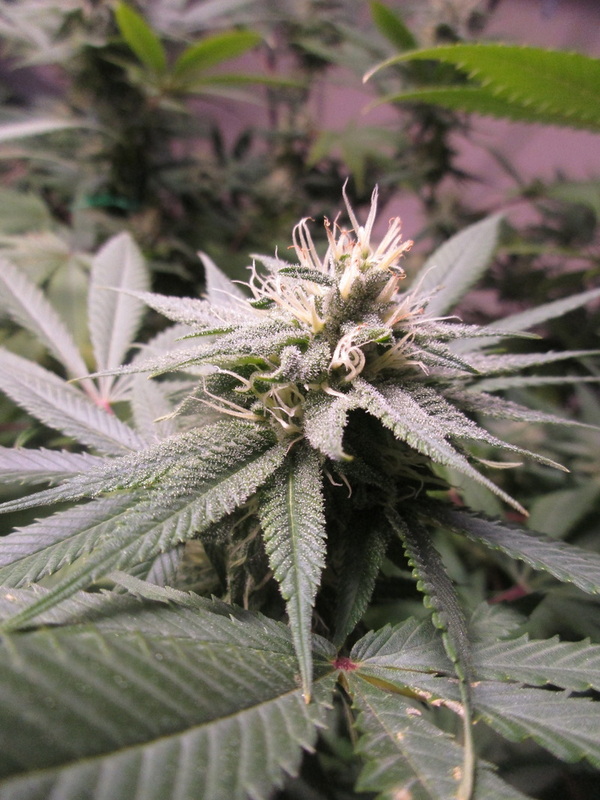 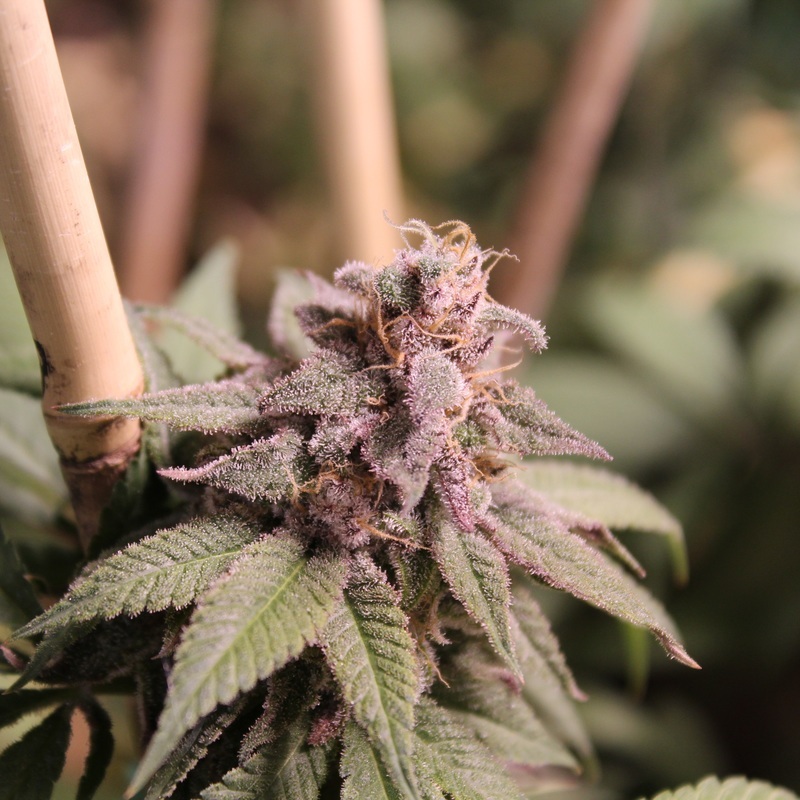 Back in the day when we were first gifted our Pineapple Express cut, our kind gift giver declared that it shall be one of the very best strains that we shall ever grow because “It has it all.” In breeding, one hears this claim so frequently that it becomes shrill. 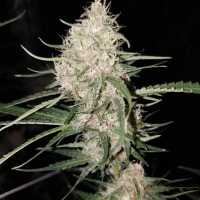 Half way through our first harvest of Pineapple Express, we realized we had a top performer — one that we’ve dignified by its inclusion to our winners circle of our Top 5 strains. 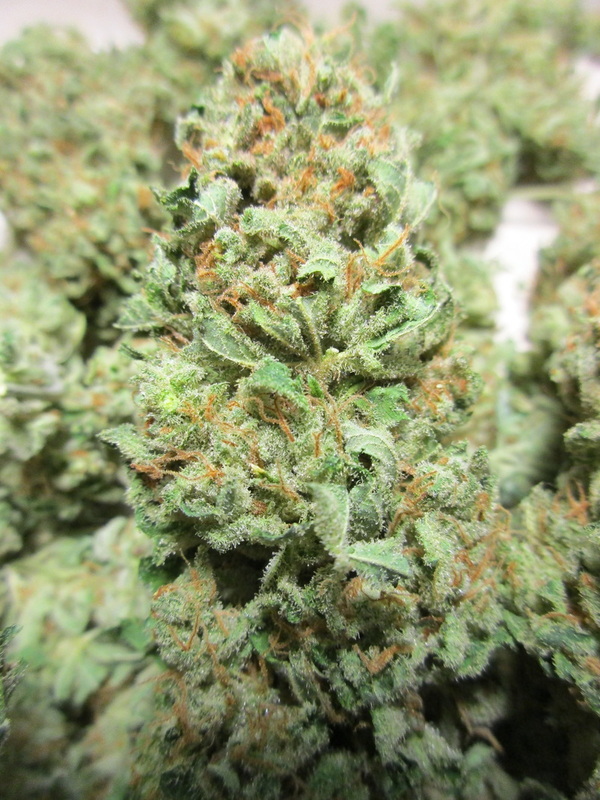 While cuts of Pineapple Express circulate widely, we have yet to encounter a cut that is exactly the same as ours. 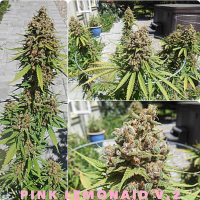 Aside from Prism, we have crossed Pineapple Express to create other incredibly potent cultivars; some of which are also available in seed form. 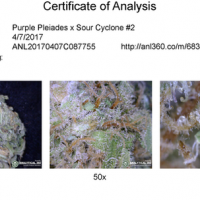 Purple Pineapple Express, for example. 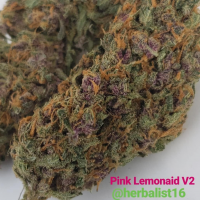 As far as Prism’s father Huckleberry Soda goes, he came about when we hit our nonpareil Black Cherry Soda cultivar with pollen from a Huckleberry Hound. 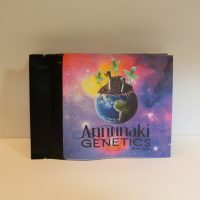 We had hoped to find a BCS-like male amongst the progeny. 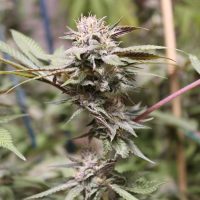 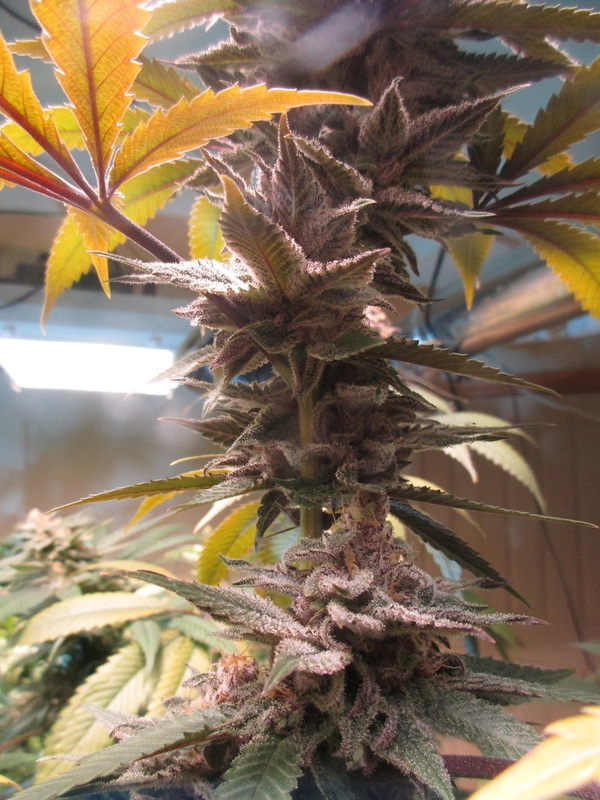 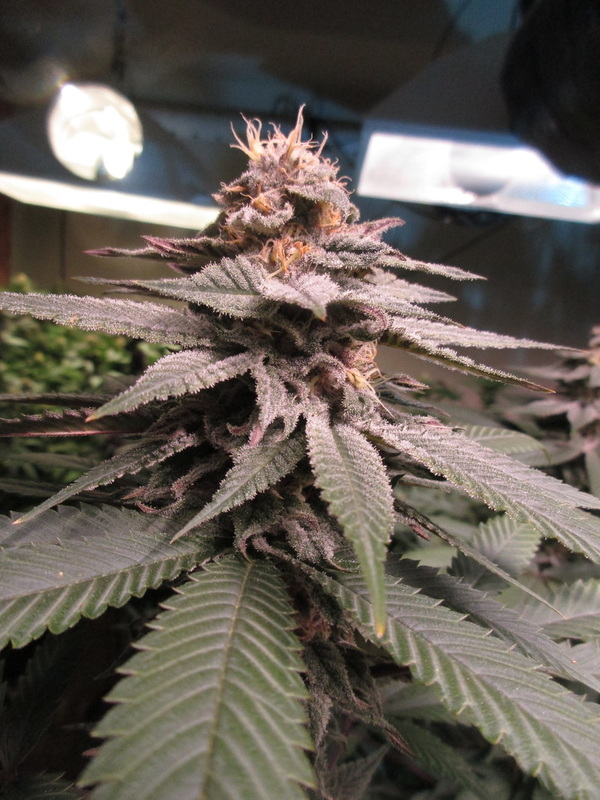 That we found in a superlative male that had the same traits we most desired, and, hence, named the strain Huckleberry Soda: an absolute stud — just like its own father — and passes on rich colors to his genetic line. Our Prism’s name derives from the appearance of phenotype #1 which presents such gorgeous purple, pink, fuchsia, and green colors that swirl throughout the canvas of its flowers. 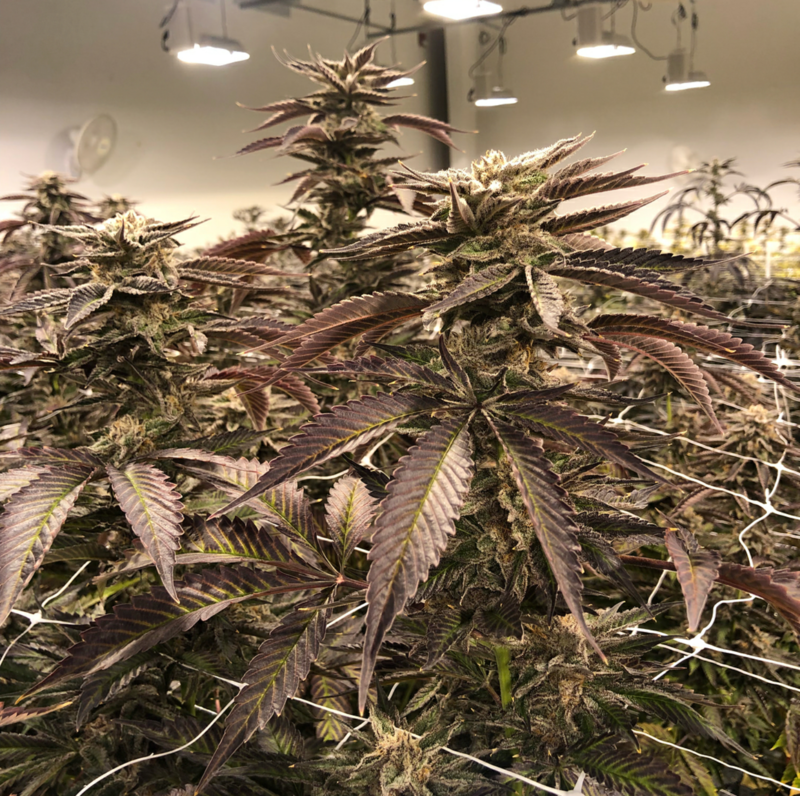 The thick layer of trichomes adds an overall white hue to the buds; creating a look that we can only describe as a “prism of color.” It truly is a sight to behold! 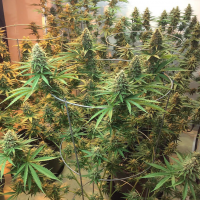 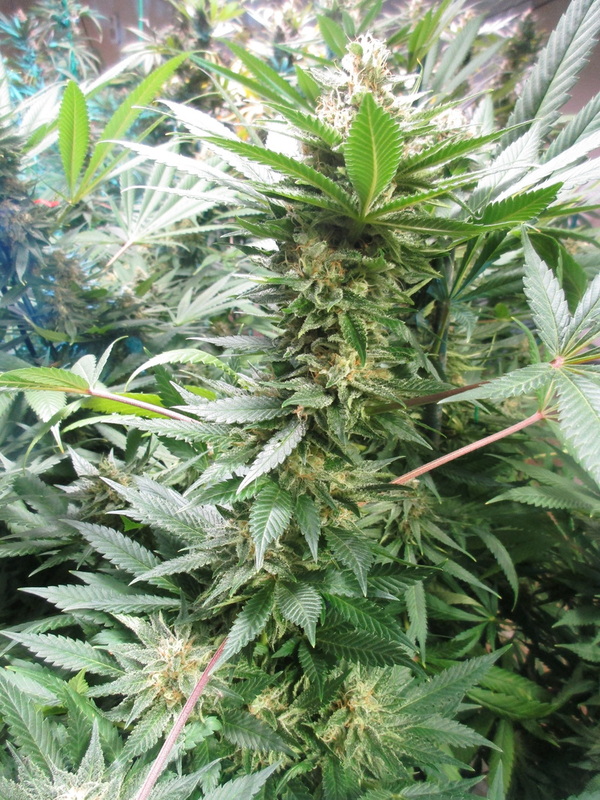 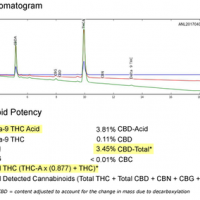 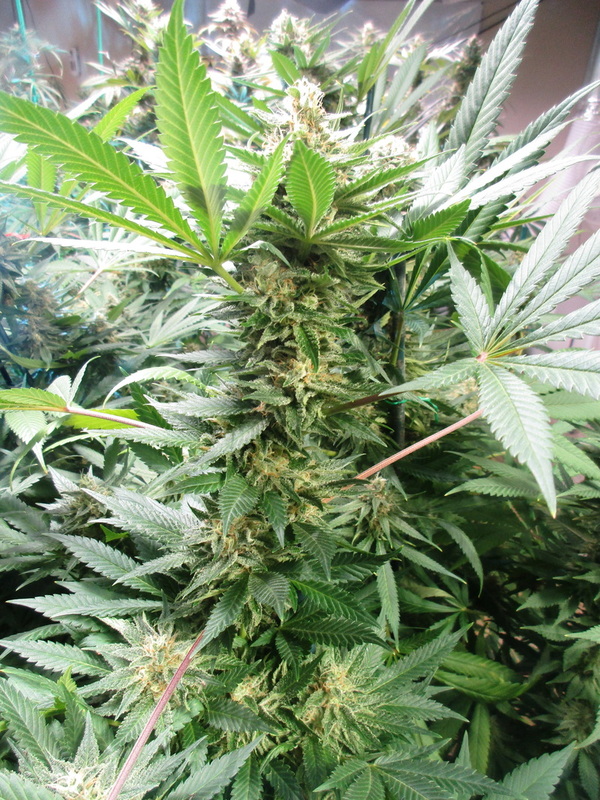 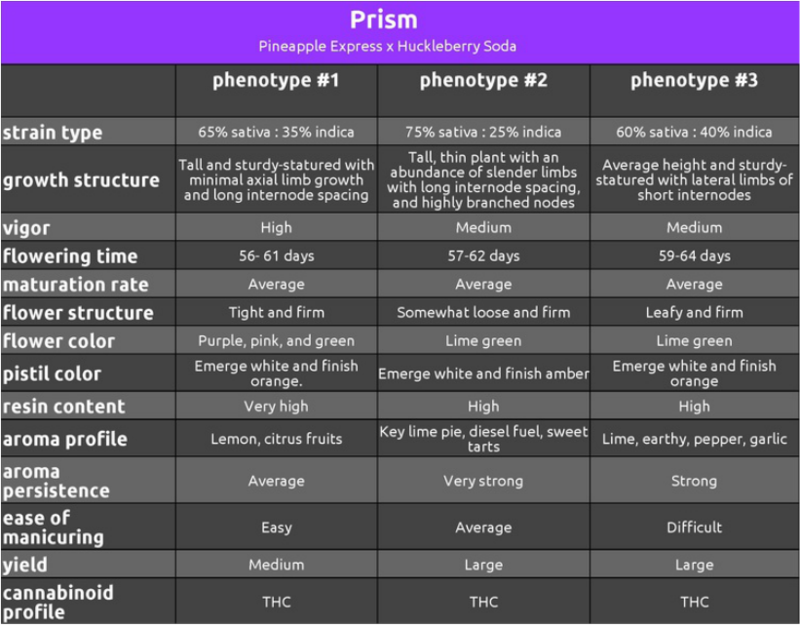 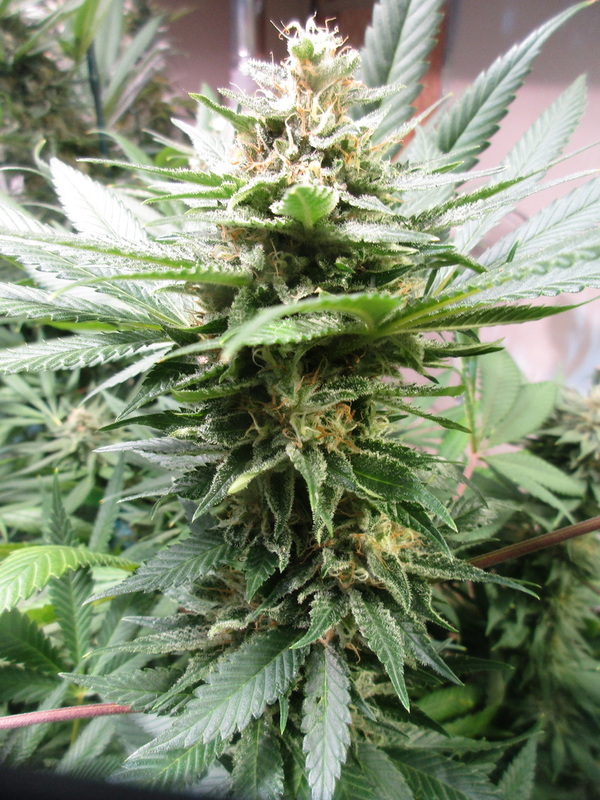 All of Prism’s phenotypes are sativa dominant. 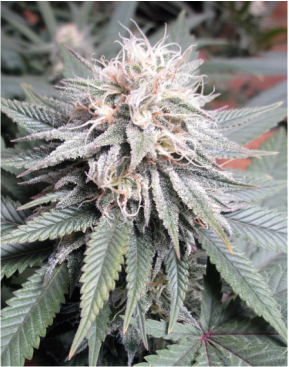 The other phenos are lime green and dense with fragile resin stalks that break off easily leaving an oily resin on one’s fingers. 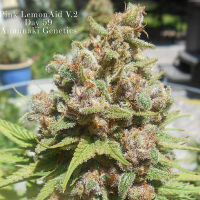 All exude the sharp aroma of a syrupy sweet lime/pineapple/fuel terpene profile. 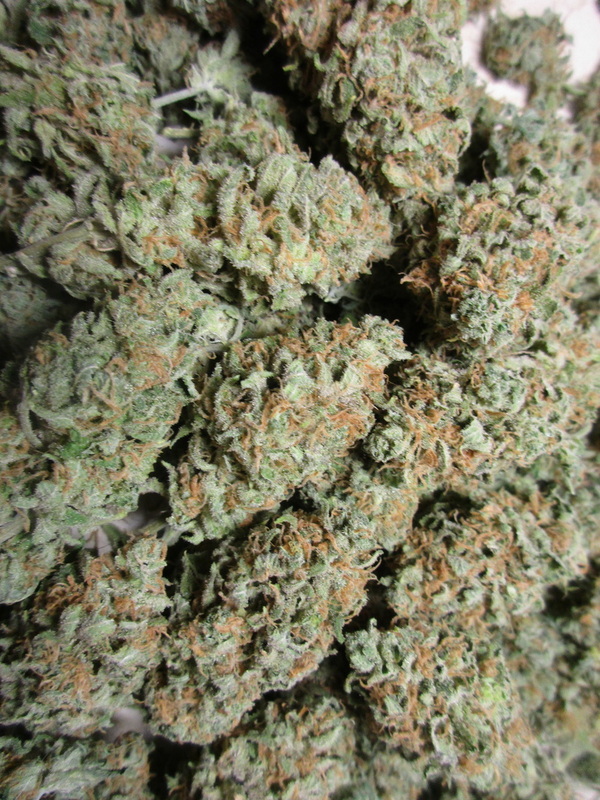 Superb looks and gastronomically appealing aromas, Prism has it all! 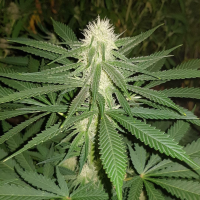 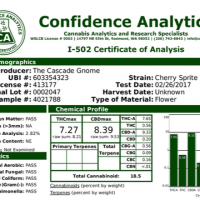 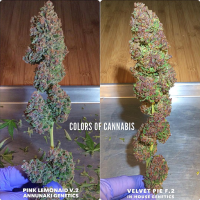 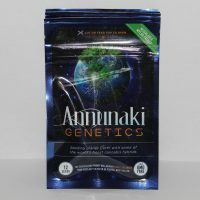 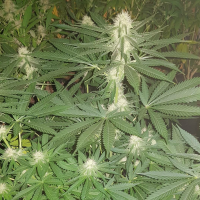 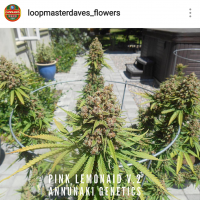 Strain type, growth structure, vigor, flowering time, maturation rate, flower structure, pistil color, resin content, aroma profile, aroma persistence, ease of manicuring, yield, and lineage for the Prism cannabis cultivar bred by Annunaki Genetics seed co.